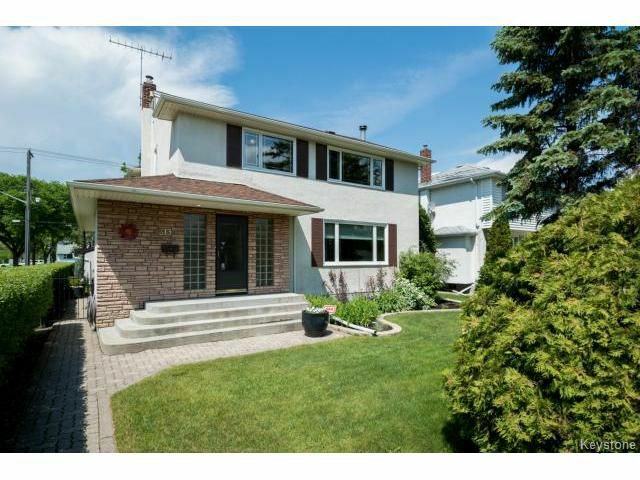 Meticulously maintained throughout, the long time owner of this spacious family home in N. River Heights has it all! You are greeted by a bright and spacious foyer when you enter this home. The kitchen is a must see! With cork flooring and recessed lighting throughout, the large work and counter space make this a chef's delight! The large kitchen island overlooks a bright sitting area with electric fireplace and built in shelving. There is no lack of natural light, this area features many upgraded windows to overlook the beautifully landscaped yard! The main floor also features a two piece powder room with heated tiled flooring. The upper level has four bedrooms, all of which are generous in their size. Lots of space to store your linens! The four piece bathroom also features heated tiled flooring, recessed lighting, and a vanity/makeup station. The finished basement features a wet bar, wood burning fireplace, finished office, and a large laundry room. Don't miss out!